Breeding Varanus varius - Lace Monitors - 2003 paper. INCUBATION OF LACE MONITOR (VARANUS VARIUS) EGGS. Originally published in 2003 in Herpetofauna 33(1):26-28. 488 Park Rd, Park Orchards, Victoria, 3114, Australia. The lace monitor (Varanus varius) is one of Australia's largest lizards with large males sometimes exceeding 2 m in length (Hoser, 1989). 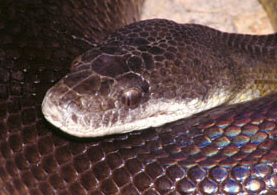 The species is a common captive in Australia, but is still not commonly bred. Lace monitors are usually housed communally in large outdoor cages and even when breeding does occur, cage cohabitants often feed on eggs laid by other lizards before keepers can recover them for external incubation (Hoser, 1998). Published reproductive data, including both captive breeding and incubation of eggs from wild-caught gravid females or nests, includes Fleay (1950), Peters (1970), Horn (1980, 1991), Bredl and Schwaner (1985), Markwell (1985), Horn and Visser (1991) and Boylan (1995). None of these sources gave information on incubation temperatures and its effects on hatching rates and times, save for Markwell (1985) who said temperature was "variable" and Horn (1991) and Horn and Visser (1991) who said that their eggs hatched after about 235 days when incubated at a constant 29oC. 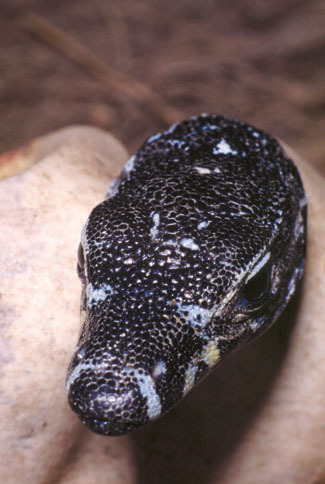 Published results for other Australian varanid species as cited in Greer (1989) indicate that the eggs of most species are successfully incubated in captivity at about 29-30oC. Provided here are some recent breeding results and data from keepers in the Melbourne area. In all cases, the monitors were housed in large outdoor "pits" and thus were subjected to local seasonal climate changes and variations. This keeper had eggs laid on several occasions, but invariably they were eaten by other monitors in the same cage before they could be recovered. However on one occasion in early 2000 he managed to retrieve and hatch three eggs. The parents were both of the common dark colour phase (Hoser, 1989: Pl. 304). Notwithstanding this, one of three hatchlings was a broad-banded (Bell's) form of lace monitor (Hoser, 1989: Pl. 305). The other two hatchlings were the more common dark form. The eggs were incubated in a thermostatically controlled incubator at 30oC, with a maximum temperature variation of ± 1oC and took just under nine months to hatch. The incubation medium used was coarse grade vermiculite at about 50-45:50-55 dry vermiculite to water (by weight). The incubator was a large sealed wooden box fitted with light bulbs at the top, similar to that described by Barnett (1981, 1998). The eggs were held separated from one another in a sealed plastic tub almost completely covered in the vermiculite. This container was briefly opened once a week to allow air interchange. It was noted that if the eggs appeared indented on the top, they could be rehydrated within a few seconds by fanning them with the container lid. This keeper hatched lace monitor eggs on two occasions. These were incubated in an incubator made out of a converted fridge. Light bulbs were attached to the floor. The top and bottom of the fridge had two large computer fans facing one another to circulate the air. A probe thermostat in the centre of the fridge maintained the temperature at an even temperature. The door of the fridge had a small viewing window in it. The eggs in this incubator were also placed in sealed plastic containers where they were buried singly in coarse grade vermiculite at a 50:50 water to vermiculite ratio. The containers were briefly opened once a week to allow fresh air inside, but otherwise not interfered with (also see case "B" below). Seven eggs were laid on 20 December 2000 and six were eaten by another lace monitor before the keeper managed to recover the remaining egg. It was incubated at 29.4oC and hatched on 20 September 2001, 274 days (nine months) later. This resulted from a Murray River, Victoria male mating with a Gippsland, Victoria female. Five eggs were laid on 28 January 2002. They measured 67 mm x 40 mm (straight line measurements). These eggs were incubated at 30.5oC. Shortly into incubation, it was noticed that all the eggs had dried and shrivelled up, due to the plastic container containing the eggs not being sealed and moisture leaking out. The eggs were sprayed in order to try to rehydrate them. Three died at about this time and were discarded, while two recovered and were incubated full-term. For the rest of the incubation period the eggs were sprayed every third day to prevent them drying out. The incubation container was not changed. These eggs hatched on 4 November (280 days) and 18 November 2002 (294 days). The hatchlings measured 150 mm snout-vent length, 370 mm total length and 130 mm snout-vent length, 340 mm total length. The first case demonstrates that the broad-banded colour phase of Varanus varius is not a different taxon, and that the colouration results merely from the interaction of one or more recessive genes. Due to the long incubation period of lace monitor eggs, it is imperative that proper incubation conditions be maintained for the duration of incubation. Potential breeders of this species should be aware of these preconditions for success and plan accordingly. Keepers should also be mindful of the propensity for adults to eat freshly laid eggs and consider isolating females at laying time. For the second breeder, in theory clutch B should have hatched faster than clutch A, due to the higher incubation temperature. However it appears that the dehydration of the eggs in the early part of the process may have caused the incubation process to have stalled or slowed during this period, in much the same way illness may stall growth of young animals, causing the longer incubation period. Temperature may not be the only determinant of incubation time for reptile eggs. The keepers who provided unfettered access to their reptiles, their facilities and their data, but who requested anonymity. Barnett, B.F. 1981. Artificial incubation of snake eggs. 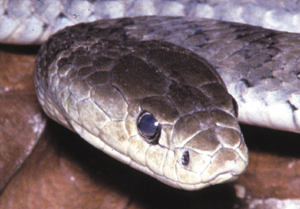 Monitor - Bulletin of the Victorian Herpetological Society 1(2): 31-39. Barnett, B.F. 1998. Artificial incubation of reptile eggs. Monitor - Journal of the Victorian Herpetological Society 9(2): 4-8, 31. Boylan, T. 1995. Field observations, captive breeding and growth rates of the Lace Monitor (Varanus varius). Herpetofauna 25(1): 10-14. Bredl, J. & Schwaner, T. 1985. First record of captive propagation of the Lace Monitor Varanus varius (Sauria: Varanidae). Herpetofauna 15(1): 20-21. Fleay, D. 1950. Goannas: giant lizards of the Australian bush. Animal Kingdom 53(3): 92-96. Greer, A.E. 1989. Australian Lizards. Surrey Beatty and Sons, Chipping Norton, NSW. Horn, H.G. 1980. Bisher unbekannte Details zur Kenntnis von Varanus varius auf Grund von feldherpetologischen und terraristischen Beobachtungen (Reptilia: Sauria: Varanidae). Salamandra 16(1): 1-18. Horn, H.G. 1991. Breeding of the Lace Monitor (Varanus varius) for the first time outside of Australia (Reptilia: Sauria: Varanidae). Mertensiella 2: 168-175. Horn, H.G. & Visser, G. 1991. Basic data on the biology of monitors. Mertensiella 2: 176-187. Hoser, R.T. 1989. Australian Reptiles and Frogs. Pierson and Co., Sydney. Hoser, R.T. 1998. Lace Monitors (Varanus varius) in the wild and in captivity in Australia, with reference to a collection of seven adults held in captivity for eight years. Monitor - Journal of the Victorian Herpetological Society 10(1): 22-30, 32, 35-36. Markwell, K. 1983. The artificial incubation of Lace Monitor (Varanus varius) eggs. Herpetofauna 15(1): 16-17. Peters, U. 1970. Raubechsen. Drei Baumwarane aus Australien. Aquarium Magazin 1969(1): 22-25. Below: Katrinus fuscus jackyae. Click on the image to read the paper on the subspecies. Below: Tropidechis sadlieri. Click on the image to read the paper on the species.